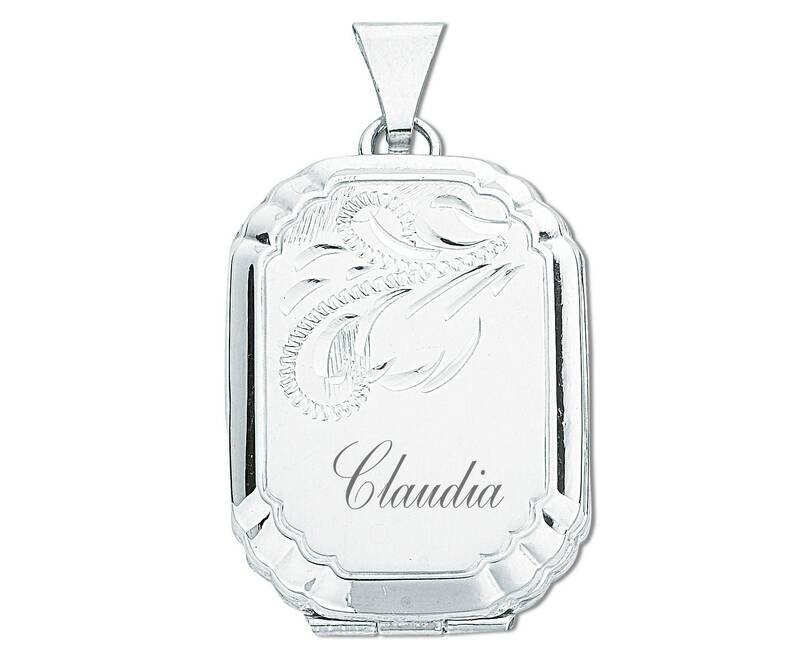 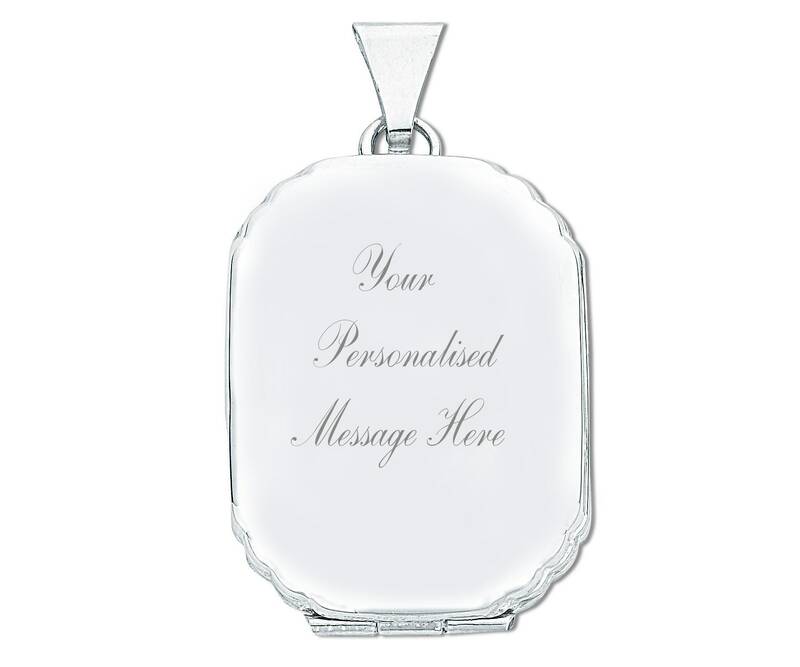 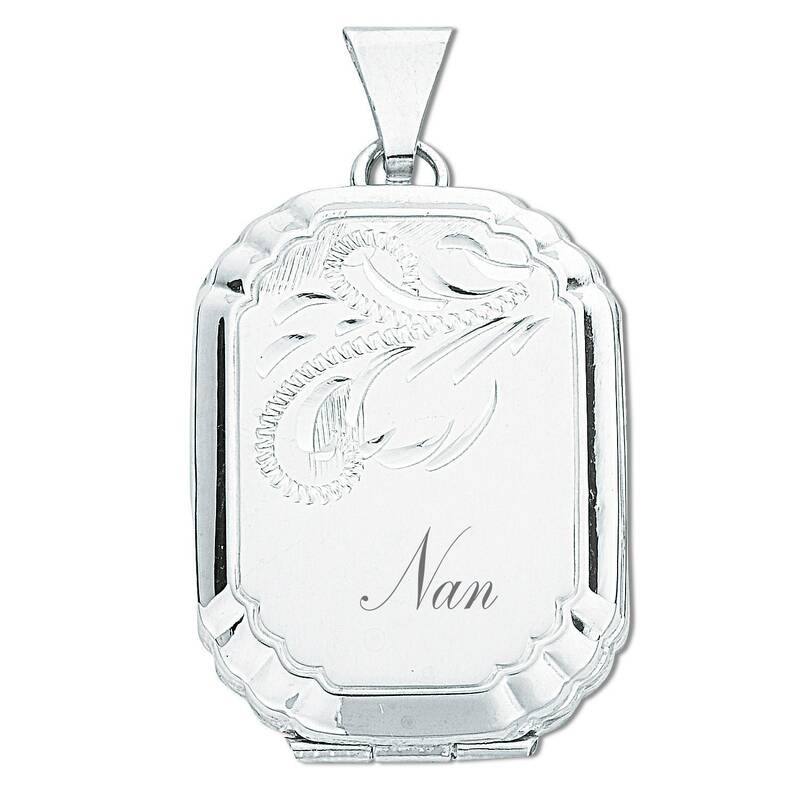 925 sterling silver half engraved design rectangular lozenge shaped hinged locket with scalloped corners. 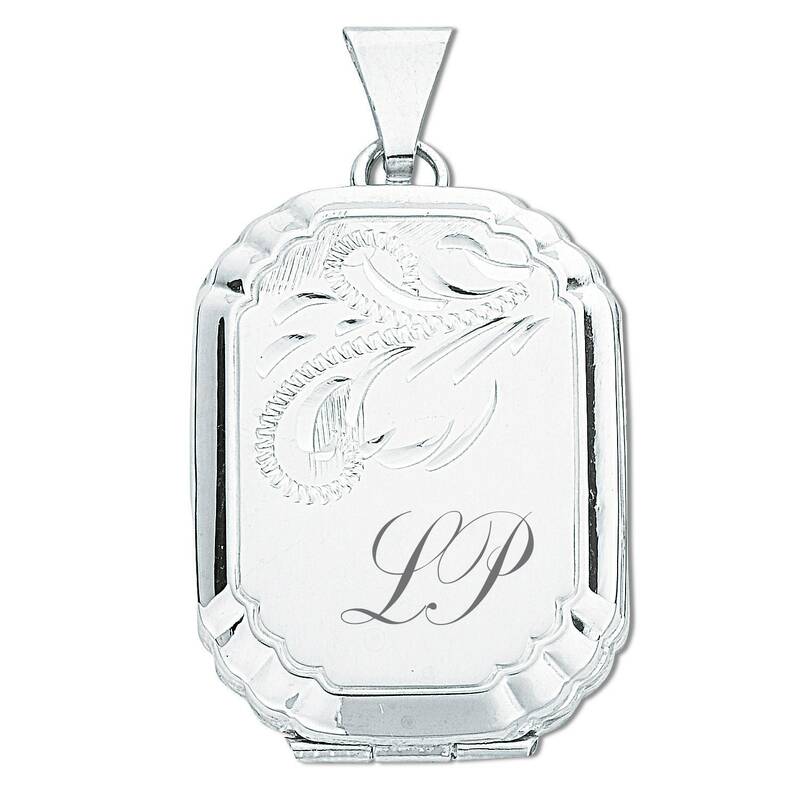 Locket size approx 2.5cm x 2.0cm (exluding bale). 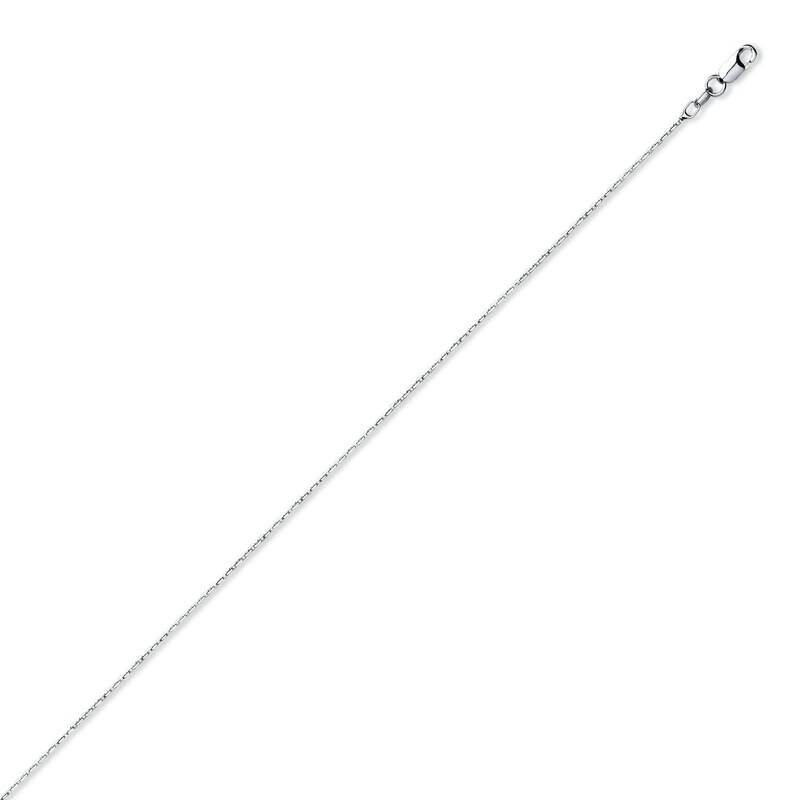 Takes 2 photos.